While completing your purchase, fill in the name and e-mail address of the participant who will sign in to the event by clicking the "Attendees" button to the right of the item in your cart. This individual will receive an e-mail from WebEx confirming registration before the event begins. Attendees should add messenger@webex.com to their approved email sender list, so they can ensure that they receive the automatic notifications. In this time of tremendous change for public libraries, the approach to matching the right staff to the job requirements has too often been left behind. As library resources and services shift, recruiting and interviewing should shift as well. 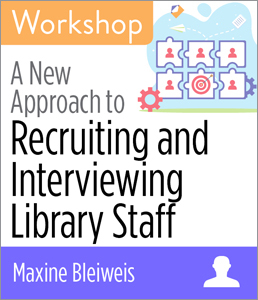 In this 90-minute workshop, Maxine Bleiweis, a consultant and former library director, shows you how to recruit for positions with an eye on the future, how to use experiential interviews, and how you can bring in new talent that will thrive in your library environment. How to establish a trainee program and continuing education for all employees. Outline an actual interview scenario with sample exercises, questions, and conversations. 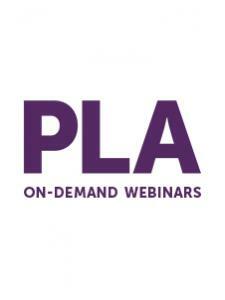 This is an online event hosted through WebEx. Further technical information is available at the ALA Store FAQ page. For pricing on bulk registrations, please contact alastore@ala.org. Shifting gears from directing three award-winning public libraries over a span of 40 years, Maxine Bleiweis is spreading her innovative ideas and approaches to traditional services to keep libraries relevant and ahead of the curve as principal consultant at Maxine Bleiweis & Associates. She is being called upon to speak on customer service, coach managers, guide strategic planning and innovative thinking, and implement the newest design thinking for library buildings. Under her leadership, Bleiweis’ libraries were awarded 5-Star Status and were finalists for the IMLS Medal of Excellence. She authored the book Helping Business: The Library’s Role in Community Economic Development and was the 2015 recipient of the PLA Charles Robinson Award for Innovative Leadership and the Connecticut Outstanding Librarian of the Year in 2011. 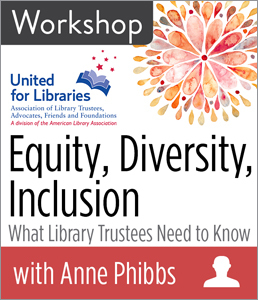 If you have any questions about this workshop, please contact us at elsmarketing@ala.org. Accommodations are offered based on user needs. For transcription, live captioning, or other accessibility requests, please contact us at elsmarketing@ala.org.